Rick and his allies managed to repel Negan and his forces, but the Saviors’ contaminated weapons have done their work. The Hilltop survivors suddenly become ill and begin to die. Rick was also wounded and his friends expect the worst. Negan believes he has won, so when the Saviors return to the Hilltop they are surprised when a healthy Rick is there to meets them. Rick offers to negotiate an alliance, one that will establish a safe zone between their communities and establish a barter system. 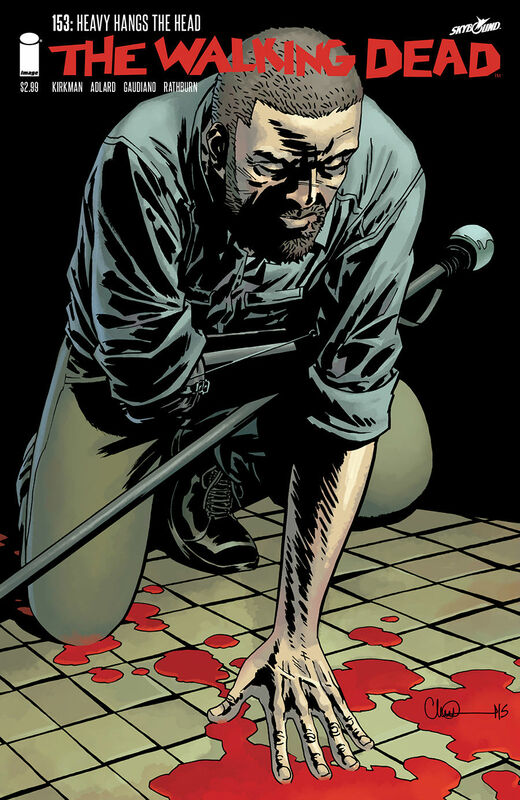 Negan seems ready to contemplate the error of his ways, but just as they seem close to reaching an agreement, Rick attacks and cuts Negan’s throat. All Out War has been six months and eleven issues in the making, now Robert Kirkman finally delivers the showdown we’ve all been waiting for, as Rick takes on Negan in this final battle in the conflict between the Hilltop communities and the Saviors. Having dealt Negan a potentially life-threatening injury, Rick says he will allow their doctor to save him, so long as the Saviors agree to surrender and let them take Negan prisoner. Down, but not out, Negan is not going to give up without a fight, and savagely attacks Rick. With both sides now poised to strike, Dwight orders the Saviors to hold back and let Negan and Rick fight it out themselves. Ever since Dwight first joined Rick’s alliance, working secretly against Negan’s camp, his true loyalty to Rick’s cause has been dubious to say the least. Having shot Rick with his crossbow in The Walking Dead #123 there has been a big question mark hanging over the character. Now we know the crossbow bolt he uses wasn’t infected with Zombie matter, and his actions here in The Walking Dead #126 are instrumental in brining an end to the bloodshed. In a completely unexpected move, the aftermath of the battle yields some a very surprising outcome. Those expecting Negan to meet a gruesome end might be disappointed. Indeed, the readers feeling might mirror the reaction of Andrea, Maggie, and Carl, when they discover what Rick intends to do next. 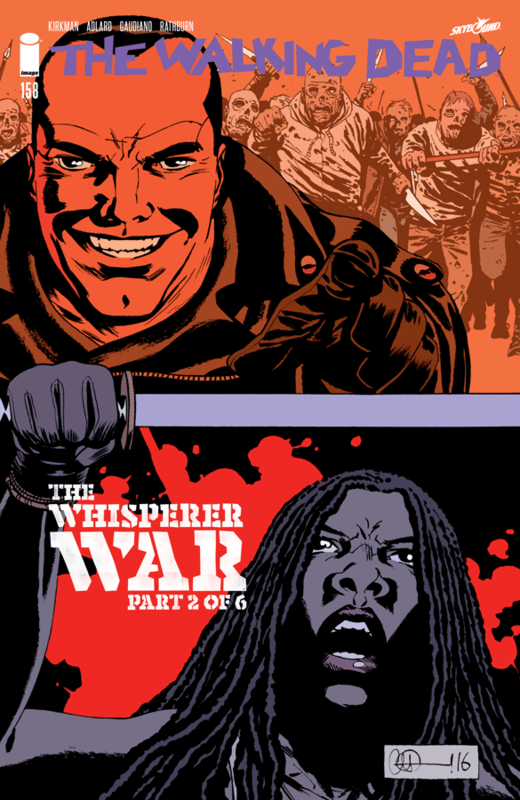 Robert Kirkman invests these scenes with some wonderfully structured moments of calm contemplation and reasoning. The way Rick manages to get his point across to Andrea, Maggie, and even Carl at the end is a brilliant piece of writing by Kirkman, and the dialogue here will have you hanging on every word. 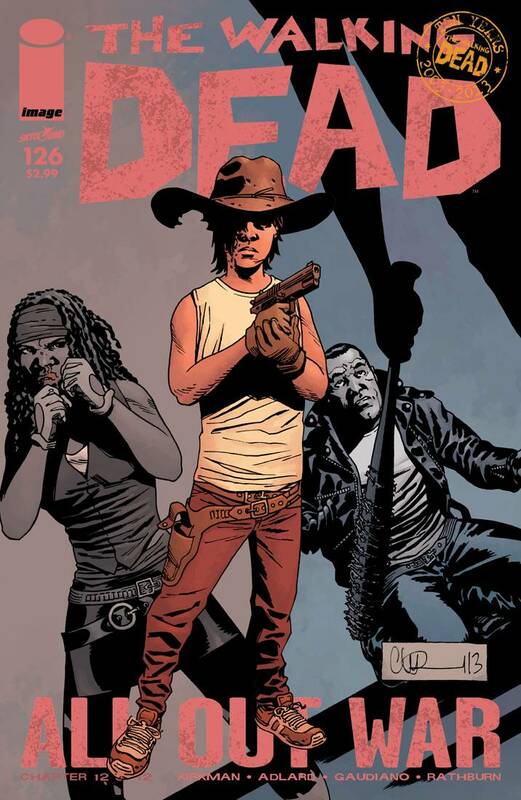 The Walking Dead #126 marks a major turning point in the lives of these characters. Big changes are on the way, the war is over, now Rick’s vision of uniting the Hilltop communities can begin to take shape at last as they finally stand together against the Zombie apocalypse in the hope of making a better world. Charlie Adlard’s art throughout All Out War has been some of the best this series has ever seen. This storyline has been stunningly illustrated by Adlard, with his incredible attention to detail, the characters and their environments, he has captured every nuance of this dark, and brutal storyline. Stefano Gaudiano’s inks have also been excellent, brining added depth and atmosphere to every issue, and I’m really glad that he will be staying on after this arc. Cliff Rathburn’s brilliant tones bring so much to each issue and Rus Wooton’s lettering is some of the very best in the industry. 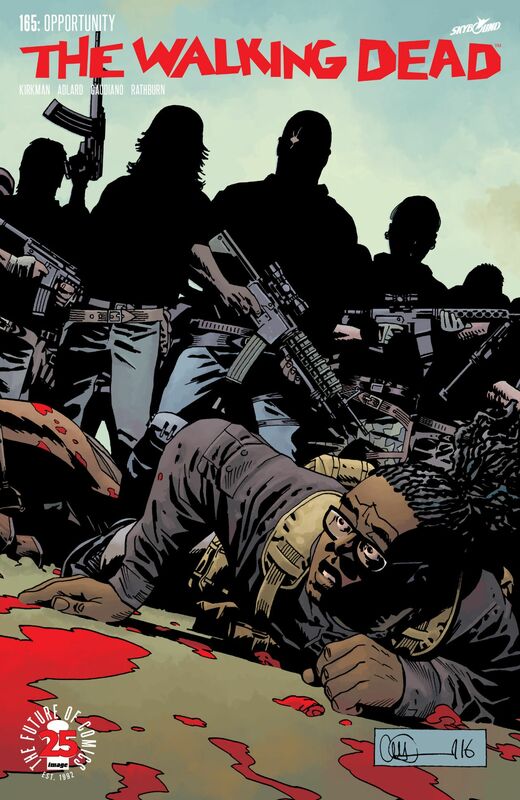 While the fight between Negan and Rick is as violent as we might’ve expected, this bone crunching slugfest quickly becomes just one part in a collage of violence as we see Michonne, Ezekiel, and Jesus locked in battle with the rest of the Saviors. By the time the dust has settles on the battlefield, Lucile has a new master, and Rick and his friends are left to pick up the pieces of their lives. 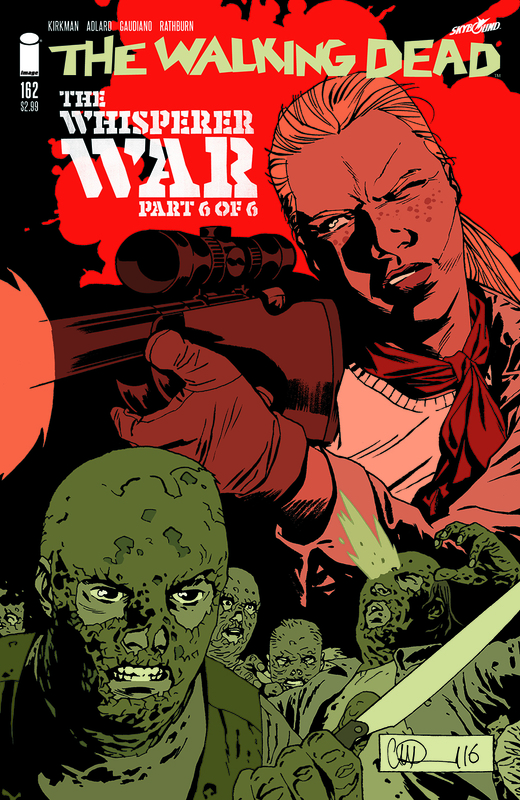 Robert Kirkman has done such a fantastic job with All Out War, every issue has been building up to this defining moment for the series, the characters have also been through so much, and its going to be fascinating to see how things pan out now the war is over. The scene where Rick addressed everyone at the Hilltop is another highlight of this issue. His rousing speech offers us some insight into what to expect next. I also particularly enjoyed the short scene between Rick and Michonne towards the end of the issue as they discussed the future. It’s a great little moment for the characters and it also illustrates the impact this war has had on their lives and the new paths it has forged for them. The Walking Dead #126 closes out the All Out War storyline in a way that few could have expected. Once the no-holds-barred final battle gives way to the rallying speeches, moralizing, and soul searching, this issue quickly builds towards its climatic final scenes when everyone notices Carl has suddenly gone missing. From that moment we know exactly where he’s gone and what he intends to do next. This final scene, and the way Rick handles the situation, is riveting. 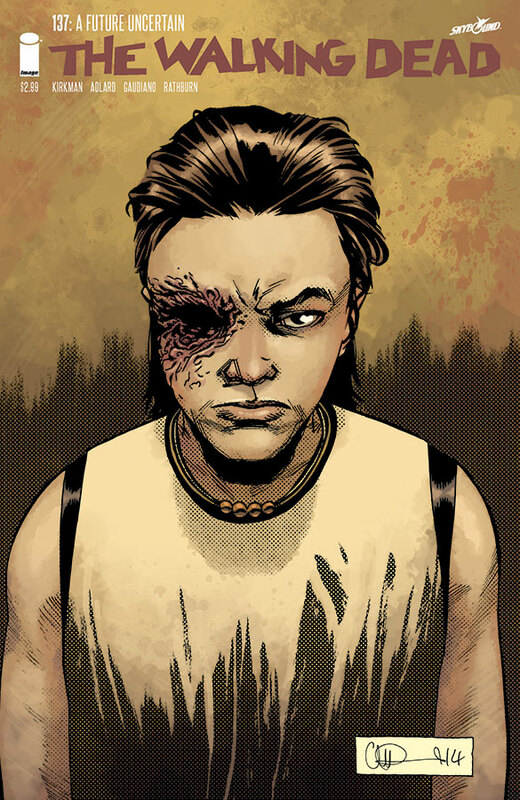 In only a few pages it becomes clear why Michonne said that she has learned not to question him. Rick’s “knack” for leadership together with his sound judgment has united the Hilltop communities, they will work together to build a better future, but it is these closing moments, where his compassion and reasoning as a father makes his son see reason, that shows us just how great a leader Rick has become. 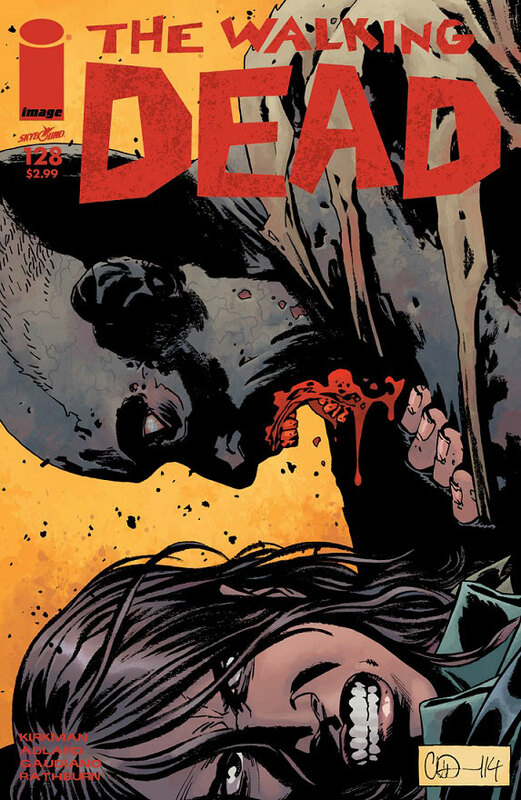 The Walking Dead #126 is the issue that changes everything, and as for Negan, well, Rick’s parting words make it clear that Negan’s fate will be far from pleasant. 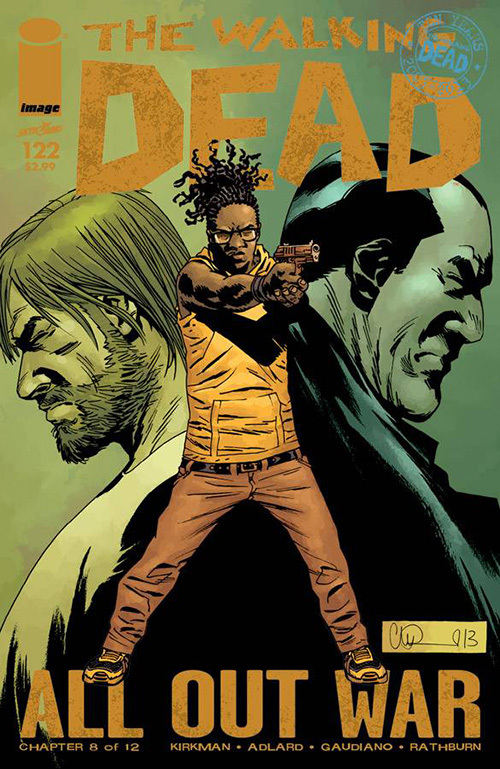 The Walking Dead #126 brings the epic 12 part All Out War story arc to a close, and it has proved to be a fitting celebration for the 10th Anniversary of Robert Kirkman’s and Charlie Adlard’s brilliant Image Comics series. 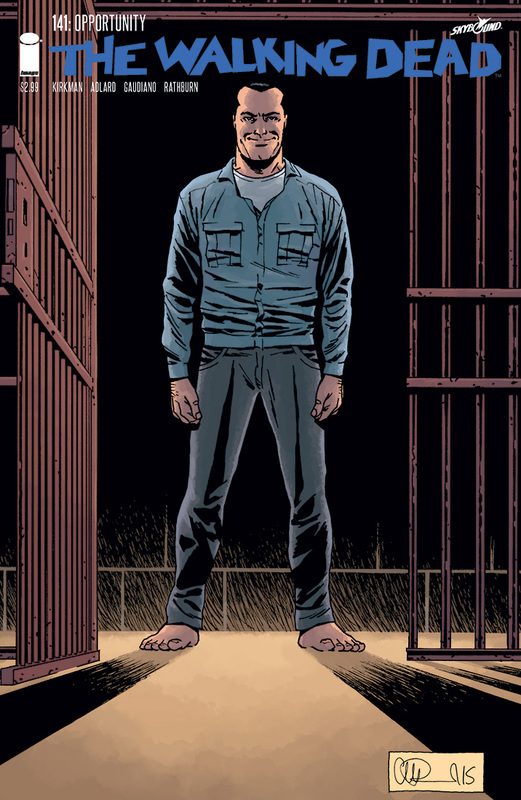 This monster event has torn through the lives of everyone involved as Rick Grimes and the survivors had to fight for survival in a conflict that ultimately brought about Negan’s downfall and subsequently united the Hilltop communities. All Out War has been a terrific storyline, I’ve enjoyed following all the twists and turns of the plot, and I think Robert Kirkman, Charlie Adlard, and Stefano Gaudiano have done a fantastic job in delivering this story arc, and I can’t wait to see what they have in store for the double sized issue #127 and beyond.